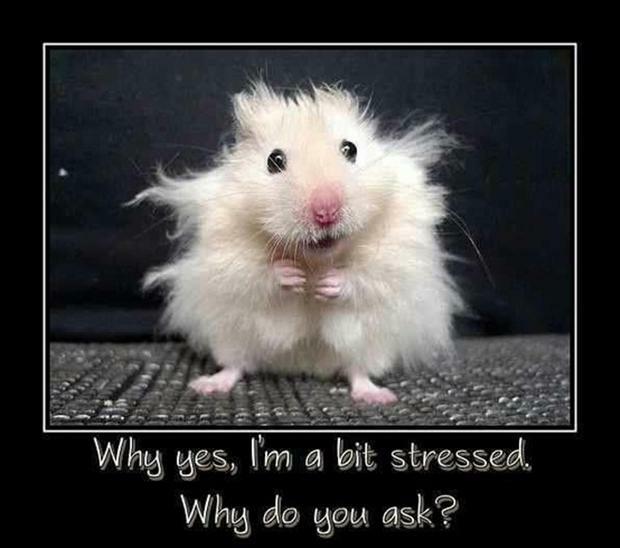 We can all feel stressed at times. Stress is mental, emotional, or physical strain caused by anxiety or overwork. It may be defined as the mental state when you are unable to cope comfortably with events facing you. These can occur suddenly and be short-lived (acute stress) or be around us for long periods of time (chronic stress). Stress is your automatic inborn response that prepares your body to ‘fight’ or ‘flee’ from perceived attack, harm or threat to your survival. It is your body’s normal or natural reaction to fear and change. Not all stress is bad for us, for example Eustress is a positive stress that increases performance and motivation. When you are stressed and in ‘fight or flight’ mode you perceive everything in your environment as a possible threat to your survival. Being in ‘fight or flight’ mode bypasses your conscious rational mind—where your more well thought out beliefs exist—and moves you into “attack” mode. Therefore fear is the root cause of stress! In the same way we can all feel anxious at times. Again this is a normal instinctual response that serves as a protection to aid your survival. Anxiety is the set of feelings we get when we feel fearful. It is a heightened state of awareness. It is subconscious worry based on past experiences that have caused us to feel fearful or stressed. The amygdala is involved in the processing of emotions such as fear. So both stress and anxiety are your automatic inborn survival responses that prepare your body to “fight” or “flee” from situations where you feel threatened, or most importantly, when you think that you feel threatened. It is not always a bad thing, as it warns us when we are under threat and prevents us from doing destructive and dangerous things, BUT out of control negative thinking can lead to constant ‘fire fighting’ which creates anxiety. We cannot be happy if we are always anticipating bad things and this stops us from leading the life we want to lead and ultimately restricts our potential. ‘Fight or Flight’ ~ think of this as your ON switch. When you are in ‘fight or flight’ mode this results in the release of specific chemicals or hormones into your bloodstream, namely adrenaline, noradrenaline and cortisol, triggering a stress response in the body. Therefore the biochemistry of stress and anxiety is toxic as it creates inflammatory disorders such as allergies, rheumatism, arthritis and cancer. In short stress and anxiety is bad for your health and your immune system. ‘Rest and Restore’ ~ think of this as your OFF switch. When you are in ‘rest and restore’ mode the neurotransmitter that is released is acetylcholine that promotes states of relaxation and calm and slows down the heart. To short circuit stress and anxiety and to activate your ‘rest and restore’ parasympathetic nervous system try these simple breathing techniques. Cumulative stress and anxiety can cause seemingly small events to tip you over the edge. As a coach-therapist I will help you to recognize your triggers, to be alert to your signs and symptoms of stress, to identify stressors and patterns early so that you can have a better chance of dealing with it successfully. I will help you to learn to relax, change your physiology, gain a new perspective, become more resourceful and resilient, develop self-awareness of your limitations, and discover productive coping strategies. A brilliant explanation of stress and what it does to you. A real help to everyone!! Thanks Lynne, glad you found the info useful.